You will have noticed that Facebook isn't getting the best press at the moment with the latest privacy revelations. This is on top of the latest statistics showing Facebook usage declining in younger audiences, according to eMarketer. This raises the question for marketers that if Facebook is declining in popularity in younger age groups, are there other social networks that warrant more attention? You can see this is a sea of Facebook blue, so despite the negative media hype about Facebook, it is going to remain a major audience channel for some time. In the UK you can see that Instagram accounts for around 10% of social media minutes, so if you are not already exploiting the latest Instagram ad techniques, then it's worth looking into these. You will likely know that since Facebook purchased Instagram, the ad offering is now closely integrated, meaning that you easily use the ad manager to see the reach and clicks you can potentially get from using relatively new features like ads that run in Instagram Stories. 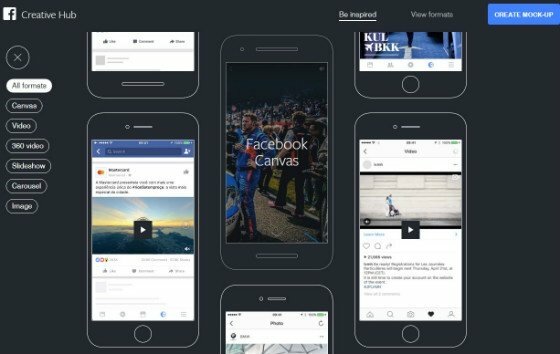 You can also use similar Custom audience, retargeting and Lookalike advertising techniques to boost reach that is available in Facebook. Another Facebook-owned option is the Messenger app ads, plus there is the option of developing Messenger bots for customer service or audience engagement. 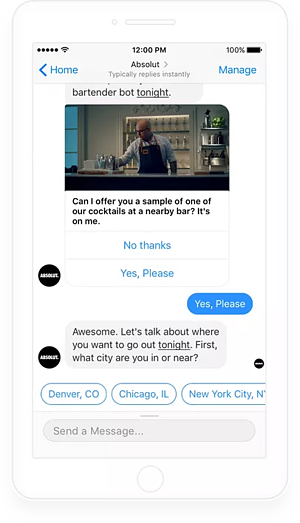 This case study shows how Absolut vodka created a bot for Messenger, to offer consumers a complimentary drink at a local bar of their choice. They saw a 4.7x lift in sales, a 36% engagement rate with the bot, and campaign performance that exceeded benchmarks by 2x. This example also showed some of the great targeting options available across the Facebook platform. Absolut targeted its link ad to people aged 21–49 living near participating bars in New York City, Chicago, Dallas, Denver and Washington, DC. The brand also targeted its ad to Custom Audiences of Lyft and Gratafy users and local influencers in the alcohol space, as well as a lookalike audience based on this Custom Audience. 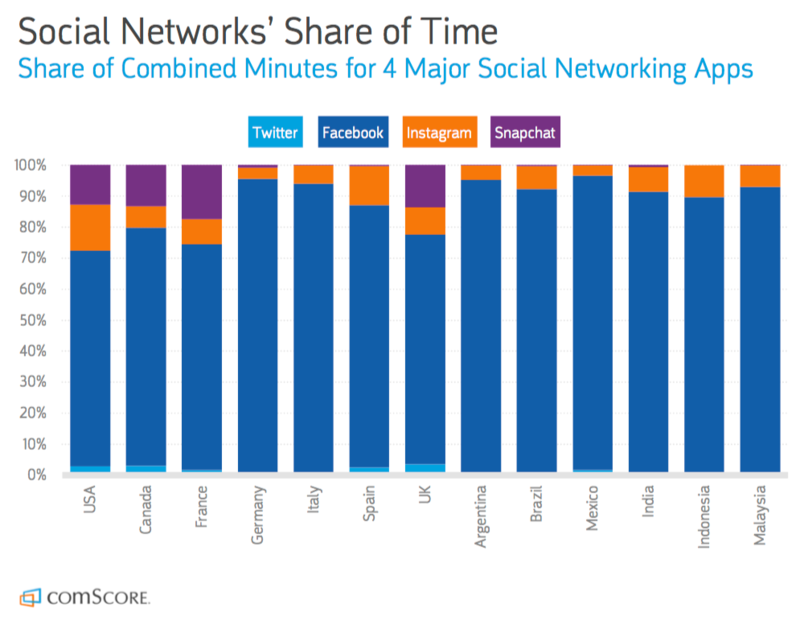 Moving away from Facebook and still considering the younger audience, our social share of time charts shows that perhaps, surprisingly, Snapchat accounts for more minutes than Instagram. This perhaps isn't surprising if you know any tweens and how much time they spend on Snapchat. eMarketer tells us that Snapchat won’t be far behind, with 21.1% of the population - or 14 million people - logged into Snapchat at least once per month in 2017. As with Instagram, Snapchat has enjoyed strong growth—it almost doubled its user base between 2015 and 2016, and is expected to see a further increase of 20.2% this year. However, Snapchat is notoriously difficult for brands to get organic engagement with audiences on. 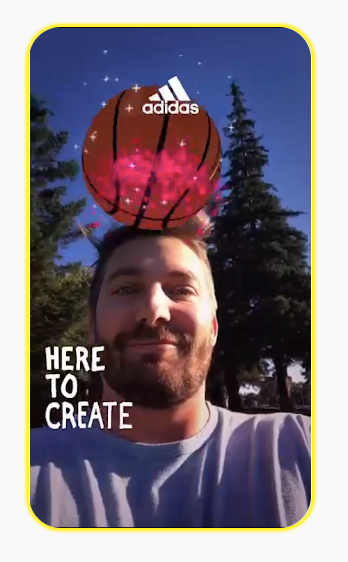 Their ad offering is less mature than Facebook/Instagram, but for larger brands, there are Snapchat ad options to create filters and lenses amongst more traditional screen takeover ads. Most of their examples are US-based, but they show the potential of Snapchat to drive real business. This case study shows how Adidas succeeded in getting athletes of all ages and skill sets excited about the “Here to Create” campaign, and outperformed the norm for Message Awareness by 2.6x. In turn, this led to real sales too; in the months following, 18% of new visitors to Adidas stores went as a direct result of the Snap Campaign. Lenses offered Snapchatters an interactive way to further spread the “Here to Create” message. The selfie Lens, targeted at high school and college athletes, encouraged users to engage by raising their eyebrows, which triggered a ball of their choice to bounce on their heads. Users showed how they can be creative in sport by recording their own interpretation and sharing it with their friends. The World Lens component featured many plus sign graphics floating in users’ space, allowing Snapchatters to spread their positivity in the environment around them. If you're a B2B marketer and you have read this far, you may be feeling frustrated since these types of creative options aren't available, but since the Microsoft acquisition LinkedIn too has been maturing its ad offering. LinkedIn advertising now offers a similar range of targeting techniques to Facebook including the traditional sponsored content native ads in the feed, text ads and sponsored InMails, plus newer options for retargeting, uploading a list for contact targeting and Account-targeting for Account-based-marketing. There is also a free insight tool now available that I have been taking a look at. If you use Tag Manager or similar to install the LinkedIn Website Demographics tag, this will give you a breakdown of the number of your website visitors who work in different sectors or have a particular role. This can be useful for understanding the 'addressable audience' for different parts of your website and making the case for investment to reach these audiences through LinkedIn ads. 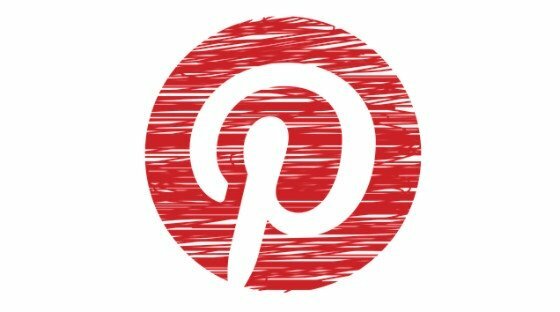 It's clear there is a lot of potential to innovate in social media as the different platforms expand their organic and paid options. This means it's best to tackle your social media marketing with the 70:20:10 marketing rule, where the bulk of your time (or money) goes into the top performing channels, then some goes into optimising less well performing channels and the remainder is ring-fenced for testing new approaches. Got a question? If you'd like to speak with one of our experts, don't hesitate to get in touch.